Talk to a home buyer who just lost out in yet another bidding war and you'll hear genuine disappointment and frustration. 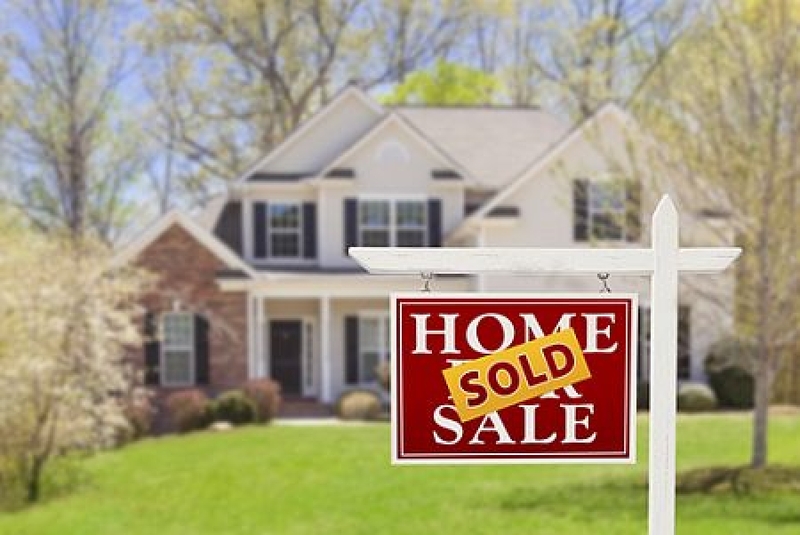 Listen to a buyer who found the perfect starter home, then asked probing questions only to discover undisclosed deal-breaker problems like UFFI, a significant foundation crack or both. You'll learn how anger and discouragement can go hand in hand. You'll never hear me respond to these buyers with platitudes like "It wasn't meant to be." I encourage buyers to understand exactly why things didn't work out in their favor. Buyers determined to act in their own best interest must understand what's going on so they can make confident decisions. Buyers who begin homeownership out of their financial depth are not on the path to success or happiness. Sticking to your budget is not losing out, but progressing sanely. Research-savvy buyers, who ask questions and uncover deal-breaker property weaknesses will not end up as extremely-disappointed property owners faced with expensive problems to correct or law suits to fight. #1: Never quit: Real estate values continue to rise — rarely getting cheaper. Give up and you end up with nothing. If you quit, you'll join the ranks of those who spend the rest of their lives talking about the real estate that got away. I've heard so many stories about properties that people almost bought or always wanted to buy. When I ask what happened, they usually don't know. Many say they just gave up. "I guess it was not meant to be" is a common answer. Don't let this be you. If you're losing out on offers, find out exactly why. Most sellers care about who buys their home and will make new memories there. Personalize your offer with a video or unique offer. One enterprising chef offered to come and cook dinner for the owners once the offer was accepted. A couple's short, punchy video showed what they had gone through to find that house and what they dreamed about doing there... all with magazine pictures cut out by their kids. You may not be creative, but be sincere with a letter or short video (less than a minute or two) that your real estate professional can use to introduce you and your offer to purchase. The real estate market may change as you continue shopping. If prices rise, you may end up in the wrong price range. Explore other locations and types of housing. Buying a two- or three-unit income property may give you the financial leverage you need for the area you prefer. Your relationship with your real estate professional may not be working to your advantage. What's missing? Is it time to quit that relationship, not the buying project? #2: Never rely on verbals. : Verbal assurances from sellers, home inspectors, or real estate professionals are worth the paper they are printed on! In real estate, it's what's on paper that counts[&mdash]what you can rove indisputably in a disagreement or in court. Sellers may say they'll leave all the appliances, playground equipment, or anything else. If you really want something, include it in the offer with a description that precludes substitution with lesser models. The real estate professional may assure you about many things the sellers will do or not do before closing. If something matters to you, make sure it is written into the offer, so there is no doubt what will be done, to what standards, when, and at who's cost. Repairing the roof, finishing the bathroom renovation, cutting deadwood out of tall trees…all in writing in the offer. If there's something of specific value to you on the property, make sure it will remain intact. For instance, a stand of trees was assumed by one buyer to be a permanent fixture. The sellers thought that, since they'd grown the trees, they could harvest the trees as firewood as part of packing to move. What did the offer say on the subject? The builder's sales staff want to expedite your new home sale, but they may not have the power to make binding promises, warranties, or guarantees. Be sure you get the home you expect, by having details that matter to you written into the offer. Read the entire offer[—]yes all the small print. If you can't follow the clauses, ask your real estate professional. Translating legalese for clients is a prime function for these professionals. Check important issues and clauses with your real estate lawyer. If you only want the house if it has a three-car garage, not a two-car, it's vital to get that commitment from the builder into the offer in the correct way to overcome any sidestepping made allowable by the small print. #3: Never think the work is over once the offer is accepted: Having your offer to purchase accepted is terrific! Hurrah! However, until closing, the house belongs to the seller and a lot can happen. The seller is responsible for insuring the property and keeping it in good repair until closing. Will the lender have all the mortgage funds ready for you on closing? Both sides of the transaction need their lawyers tidying up loose ends. You'll be busy with movers and perhaps school transfers. Things can go wrong. I'm not trying to stress you out, but keep in touch with your real estate professional to be sure they are in touch with those finalizing the many details that must be resolved before closing. That's not calling everyday in a panic. Clarify what details must be taken care of before closing. Then check off that list with your real estate professional, so nothing is left to the last minute. Once you get the keys and move in there may be carryover issues. Remain calm. Document the issues. Never quit until issues are completely resolved. Never rely on verbal assurances. Insist on written sign-offs, warranties, and receipts.